Sunnie has spent years running from her past, burying secrets and building a life in which she needs no one and feels nothing. But a girl has gone missing, lost in the chaos of a bomb explosion, and the family needs Sunnie’s help. If she is out there, why doesn’t she want to be found? It’s time for Sunnie to face her own demons – because they might just lead her to the truth about what really happened all those years ago. 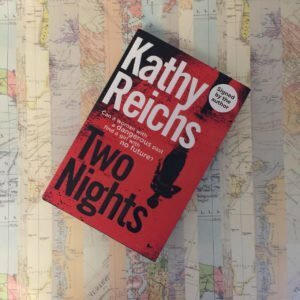 Its been a good long time since I read anything by Kathy Reichs but I was tempted by this standalone novel featuring the whimsically named Sunday Night. This is a big departure from her writing about Tempe Brennan and I suspect will divide the opinion of her fans. Anyone who loves the Bones books and is looking for something similar here may be disappointed, but I felt it to be a fresh direction for Reichs. Sunday (“Sunnie”) is a complex character, good at her core, but unwilling to show this outwardly as life has beaten her down. She is former military and a former police officer since an injury would have seen her confined to a desk job, she has become withdrawn. She is persuaded to become a private investigator to find Stella, a teenage girl who went missing during an explosion which killed most of her family. When she needs help she enlists her twin brother, who could not be more different from her, but the two work well together. The book is fast paced and becomes a hunt across the USA on the tail of a terrorist group. We find out more about Sunnie’s traumatic childhood through a series of flash backs throughout the book. Through the investigation of the Stella’s disappearance and the circumstances surrounding the death of her family, Sunnie has to face up to the traumas of her own past. This trouble past has shaped Sunnie into the stubborn, uncompromising character she is in the present and Kathy Reichs has written the book in a short, sharp style befitting Sunnie’s nature and character. 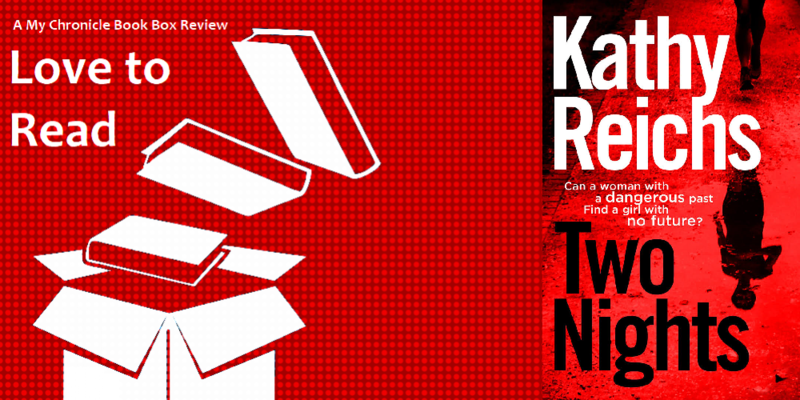 I enjoyed this thriller and there was an unexpected twist at the end. I hope to see the Night twins investigating again in future. I also have an extra signed hardback copy of this book and I will be running a competition to give this away to one lucky person who likes and follows / shares the My Chronicle Book Box Facebook page or Instragram page. I will draw the winning name on Sunday 8 October 2017. Please note that although the competition is open to everyone, since I am based in the UK, if you win and live outside the UK I will have to ask that you cover the postage costs to your location.